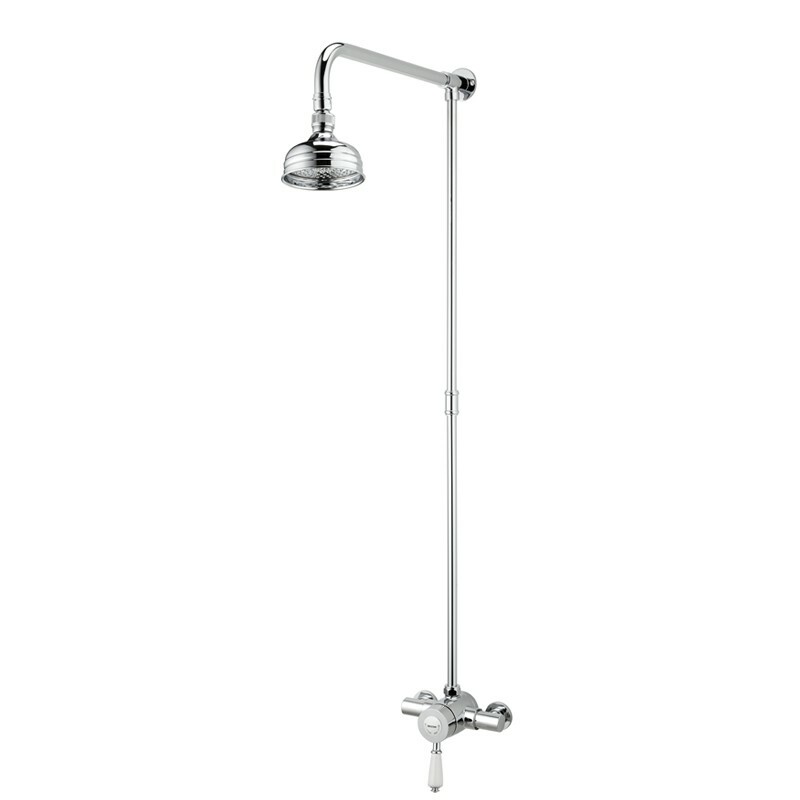 The Colonial thermostatic shower is the ideal replacement for your old SF Victorian-T shower. The all new Colonial thermostatic shower is the ideal replacement for your old SF Victorian-T shower. Complete with the rigid riser a 100mm Fixed shower rose and the latest ceramic disk technology it is the perfect choice. PLEASE NOTE: Pipe centers for your old Victorian T were 138 - 145mm. The new Colonial pipe centers are 110 - 155mm, If this is an issue then please call our helpline for advice. If you need advice or help choosing your new shower? Please call the Tapstore.com helpline on 08436580062.